Those were the words Dr. Madden spoke that brought me to tears. 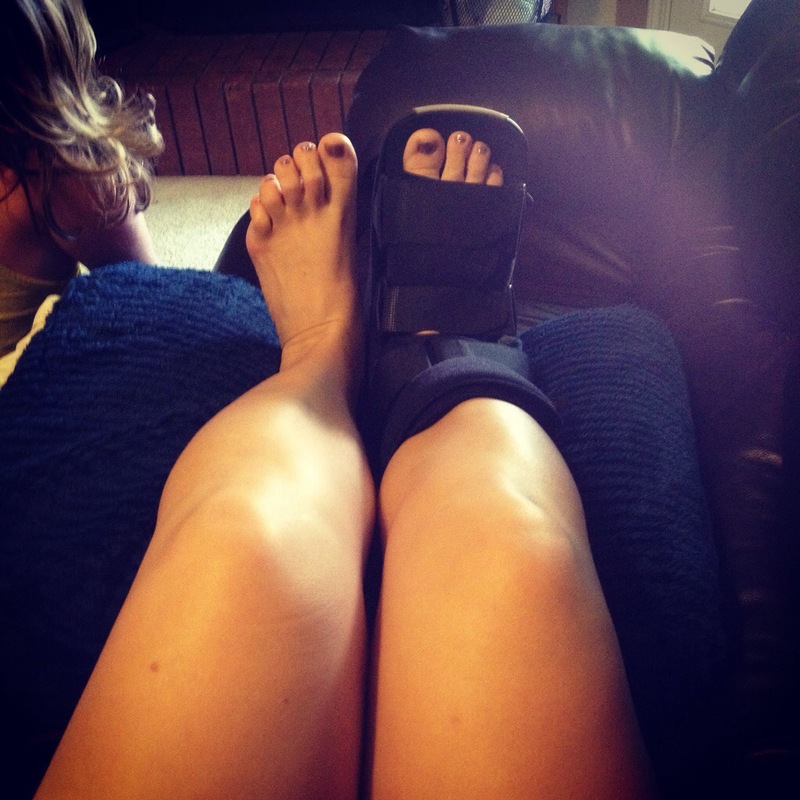 As I sat in the exam room and we discussed my options – cast, boot, surgery, rest, crutches, I found myself so lost in my emotions. He held up my x-ray to the light and showed me the very clear image of my foot and the fibular sesamoid bone that is in two pieces. Then he pulled out the report for the bone scan. I knew all of this before going in to his office, but somehow I had hoped that maybe it wouldn’t be THAT bad. I sat on that exam table, tears and snot dripping from my face (I am not one of those women who cries cutely) and I asked him the same question every runner asks, “when can I run again?” He, of course, laughed at my question and then explained the recovery process to me. I will run again one day. I will start back at square one, but I will run again. Running is something I have grown to love. I am a runner. Running is what I do. When life is chaotic – I run. 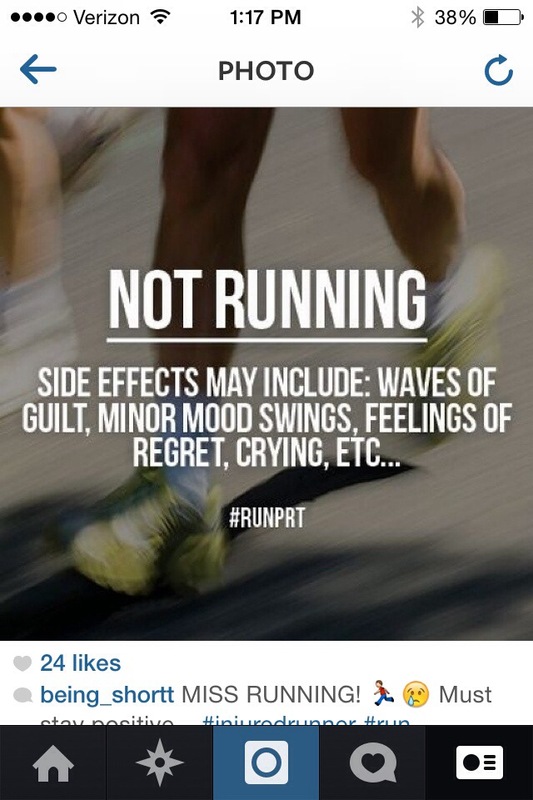 When I am upset – I run. When I am happy – I run. When I need quiet time – I run. The answer is always “go for a run,” no matter what the question is. So here’s where I realize I have a problem. 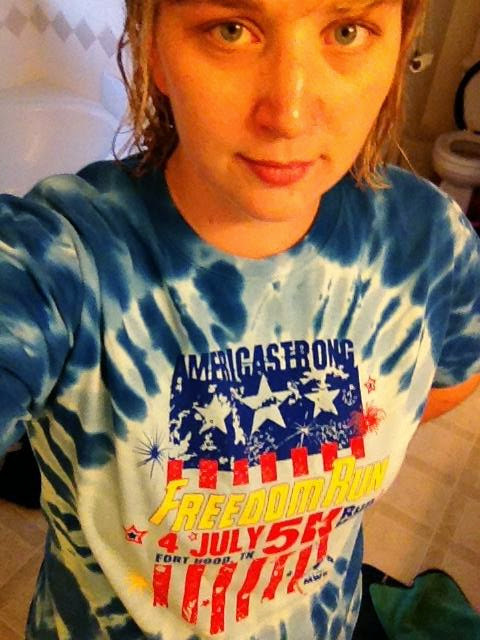 I was presented tonight with the question, “what is it about NOT running that is so terrible?” And boom! That’s where it hit me – I’ve idolized running. I’ve stopped trusting God for my salvation and I’ve been looking for it on my own through my success in running. I never thought I could run, but once I started running, I took off and didn’t look back. So when I started having an achey pain in my right foot last August, I ignored it. When I finally went to the doctor they said it was a stress fracture. Then another doctor said it was just my shoes – I liked that answer better, so I bought new shoes and kept running…even though I was still in pain. Then, as I was training for a half marathon I hurt my left foot. 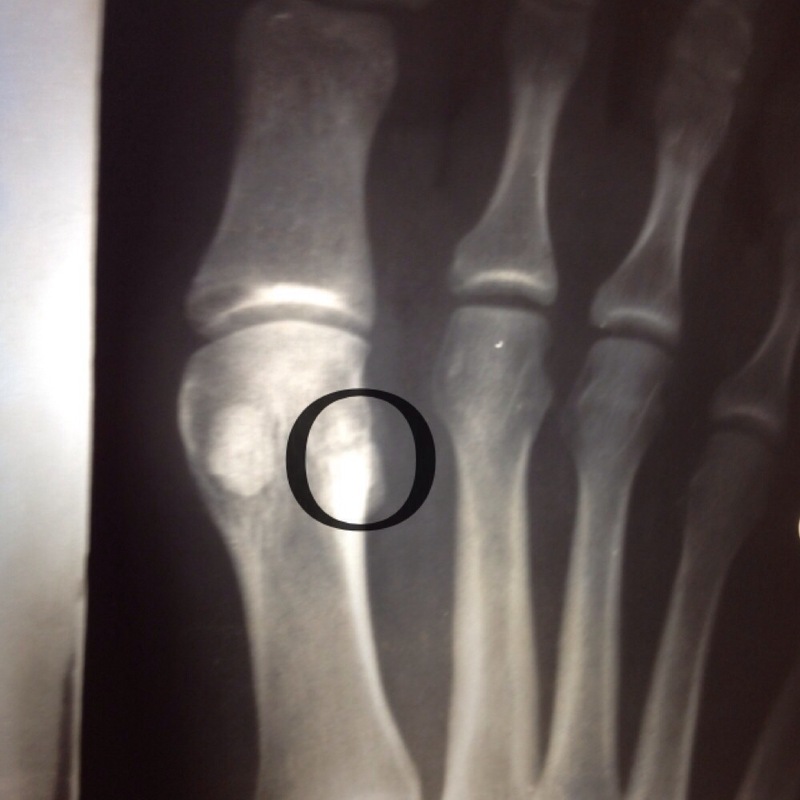 The initial diagnosis was stress fracture. Then it was osteochondritis defect lesion. Now, it’s tendonitis. Now that I’m seeing a podiatrist, I’m finally getting accurate care for my feet. It’s hard for me to accept that I cannot run right now and I’m literally grieving the temporary loss of my ability to run. It turns out that achey pain in my right foot from last year is a broken bone. So now, I am having surgery next month to remove my fibular sesamoid bone and 3-4 months after that I will be able to run again. Running is wonderful. It’s good and healthy and freeing. But just like any other good thing in this world, when it becomes more important than God it is no longer a good thing. My biggest problem though doesn’t even have anything to do with running. My biggest problem is that I’ve put God on the back seat of my life and let running take the wheel. Now, I look back to the cross. I’m thankful for sweet friends, a great small group, an awesome pastor, but mostly for a loving and faithful God who has given me more grace and mercy than I deserve. I am scared of surgery. I am scared of not running again. I am scared of all the “what ifs”. But what I know is that no matter what, God is in control of it all. He already knows. Yes, I am currently struggling to trust God because this is not how I want things to go. But in the midst of that struggle, I also know that He is helping me to trust Him more each day.